Plant a bean and watch it sprout and wind its way through a maze that you design. Watch the roots develop inside the transparent soil container too. 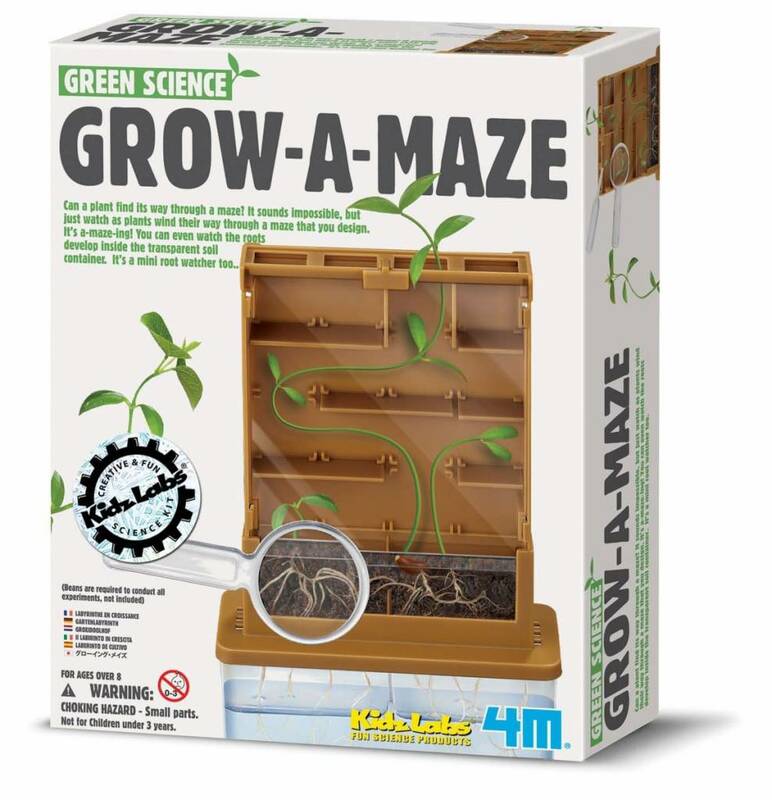 Each kit includes a plastic maze with several adjustable shelf pieces, a see-through planter - root viewer, two cover cards to block light during germination, a watering pipette, plastic magnifying glass, and detailed instructions. Requires soil and dried beans for planting, not included. Made by 4M --- Toysmith. Recommended for ages 8+.